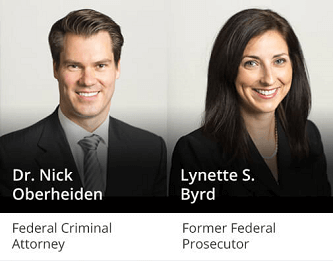 East TX Federal Bank Fraud Defense Lawyers - Oberheiden, P.C. Very few people intend to commit fraud. Nevertheless, fraud is one of the most common criminal charges in the United States, appearing in one out of every ten federal prosecutions. How can so many people be charged if so few have fraudulent intent? Sadly, aggressive prosecutors cast a wide net and end up dragging too many people through the mud. If you are facing a bank fraud charge or any other financial fraud allegation, you aren’t alone. You might have made an error in judgment or a careless mistake. Or perhaps someone else in your organization engaged in wrongdoing and left you on the hook. Maybe you haven’t done anything wrong at all and don’t understand why you’re in the government crosshairs. We’ve seen it all. The state and federal governments are in the midst of a major crackdown on fraud in this country, and prosecutions are running rampant. Many of them are hasty, unfounded, or unfair. At Oberheiden, P.C., you can count on a compassionate, rigorous, and aggressive legal defense to fight back against prosecutors and police. We have years of experience in high-level criminal defense at both the state and federal level, and we offer our services to criminally accused individuals and organizations throughout the entire United States. Our Tyler white-collar crime defense attorneys have a strong record of success. We’ve helped many people through their darkest days, overcoming insufferable investigations and bringing terrifying prosecutions to an end. In every case, our unflinching goal is to stop the investigations and bring the accusations to an end, with the ultimate result of a total dismissal of the charges against you. There is hope, but the charges are extremely serious and you need experienced legal advice right away. We can start protecting you today — even if charges haven’t been filed yet. In fact, the earlier we’re involved, the better. Contact us right away. Bank fraud is a crime that involves making misrepresentations or engaging in dishonest behavior during any transaction involving a financial institution. It is a series criminal offense that can be prosecuted under a number of state and federal statutes. Bank fraud is typically categorized as a white-collar crime, a type of offense that does not cause physical harm but is instead alleged to have resulted in some sort of unfair financial gain. Unlike many other crimes, white-collar crime investigations tend to target the most upstanding and successful members of a community — business leaders, financial experts, government leaders, accountants, and more. Too often, these people are targeted for their high social standing, as the authorities unfairly endeavor to “make an example” of the defendants in order to boost their own public profiles. Bank fraud carries stiff penalties. If convicted, you could spend many years in prison. Additionally, you may be charged with extraordinarily expensive legal fees that are virtually impossible to pay back, and your criminal record could follow you around for the rest of your life. The stakes could not be higher. These are only a few of the most common examples of bank fraud and do not constitute a comprehensive list. Bank fraud can arise in many different contexts, and prosecutors are fond of attaching fraud allegations to seemingly unrelated criminal cases. Prosecutors actively seek opportunities to attach bank fraud charges to any prosecution, and they will likely scrutinize your own bank accounts and financial data in the hopes of finding evidence that might imply fraud. It’s important to have someone on your side who understands these tactics and knows how to counter them. Our firm employs forensic accountants, former prosecutors, and former special agents from the FBI. We know what we’re doing and, just as importantly, we know what the other side is doing. We will leverage those inside perspectives for your benefit as we mount a vigorous defense on your behalf. If you suspect that you are under investigation for bank fraud, or if you have already been charged with a crime, you need to talk with an experienced lawyer right away. You have only a limited amount of time to mount a compelling defense, and the sooner we can start, the better your chances of a dismissal will be. At Oberheiden, P.C., dismissal is our goal. We’ll fight for you. Call us now to undergo a free case review with our Tyler white-collar crime defense attorneys.